NHS Grampian taxi expenditure: Is it too much? A hefty bill for taxi fares equating to salaries for almost 30 nurses has been run up by NHS Grampian in the last year. Patients, staff, blood samples, medical records and equipment have all been ferried across the north-east by cab in the last 12 months running up a total bill of £660,000. The figure is almost double the previous year’s and more than three times the sum spent in 2011/2012. Over the past five years, NHS Grampian has coughed up more than £2million to taxi firms across Aberdeen, Aberdeenshire and Moray. While in comparison, NHS Highland was faced with a five year bill of £944,681 – an average expenditure of £188,936. The release of the figures comes shortly after NHS Grampian was forced to scrap its 12 week minimum surgical waiting times due to an ongoing staffing and recruitment crisis. At the moment there are around 430 nursing and midwifery vacancies at hospitals across the north-east. Last night the health board said they only used taxis as a “last resort” but could not explain why there had been such a sudden surge in fees. Aberdeenshire West MSP Alexander Burnett said questions now had to be raised over why expenditure has increased so rapidly in recent years in the north-east. He said: “While the use of taxis is preferable to taking ambulances away from emergency duties, these figures suggest that spending by NHS Grampian is far higher than in the comparable NHS Highland area. North-east Labour MSP Lewis Macdonald said that more resources should go towards employing more medical staff. He said: “What’s striking here is the increase in the cost over the last 12 months. “Clearly there is some explanation required as to why the cost of taxis has almost doubled in just a single year. “There are pressures on the system that we know about, and they are getting worse, but it really is surprising that there has been a jump of this scale in such a short period of time. “Because the system doesn’t have the resources to work properly, you end up spending some of the resources you do have on fixing the things that go wrong, rather than keeping everything in working order in the first place or investing in longer-term solutions. “What NHS Grampian needs to do more than anything is fill its staffing gaps, whether its nurses, doctors or other staffs, and that’s a priority. 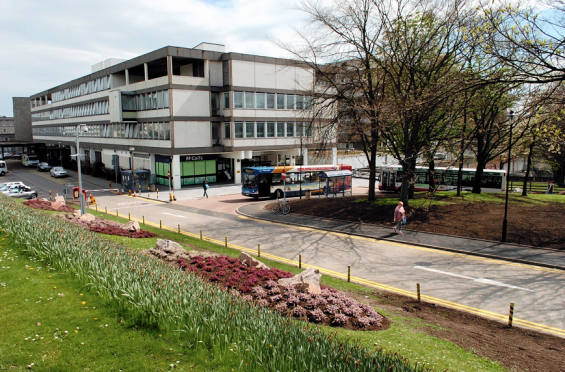 A spokeswoman for NHS Grampian said: “The use of taxis Grampian-wide is subject to strict controls – any invoice or claim, whether for a staff member of patient, must be signed off by a budget manager. “They may be used very occasionally by staff, but predominately by patients when no other means of transport is available. A spokesman for NHS Highland said: “There are a number of reasons taxis are used including transporting patients home or between health and social care facilities when there are no other means of getting them there, urgent samples such as blood samples for labs, and out of hours calls which could include taking a doctor to a person’s home when no driver is available.